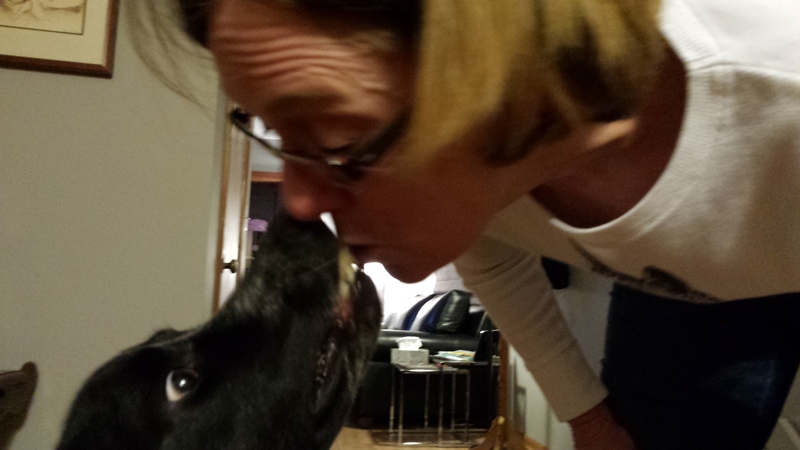 I am giving Nikki a kiss. This is the Milk Bone cookie trick, the test subject’s name is Chris. If any of you, my loyal followers, were here, RIGHT NOW, I would give you a hug with my two front paws, and a kiss, because I am a sweet guy. And Chris, one of my most loyal followers has taken that a step further, She places these tiny Milk-Bone cookies in her mouth and allows me to g-e-n-t-l-y remove those tiny cookies with my sparkling white teeth. I am VERY gentle. 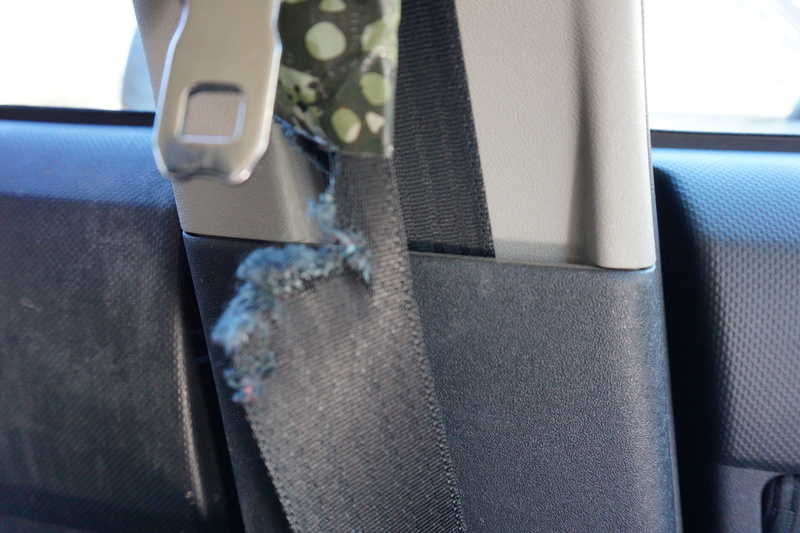 My Dad’s seatbelt in the Scion xB. He was not in the Scion when I did this. 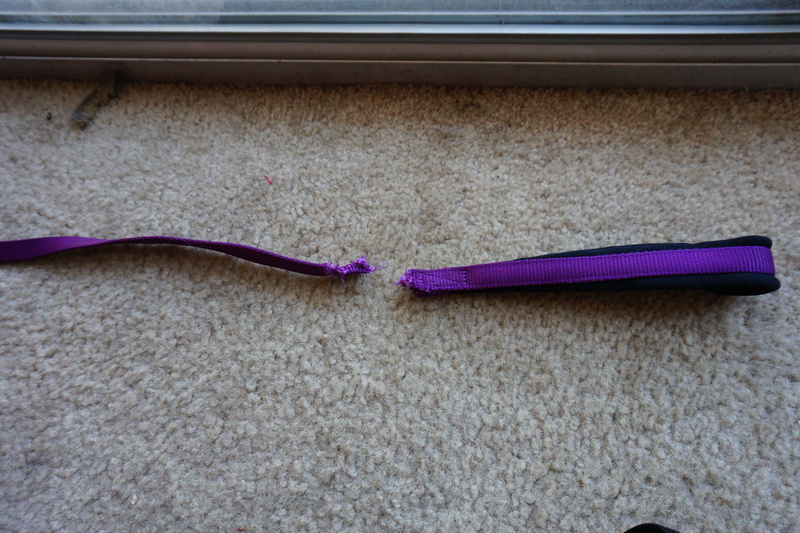 I had been caught working on this leash three times…last night we had a breakthrough! The seatbelt has been chewed on? Are you asking me or telling me? 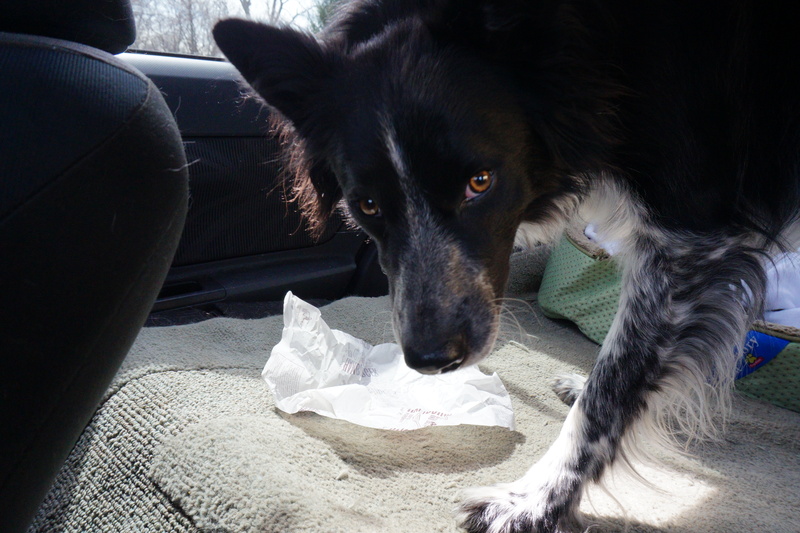 This entry was tagged border collie, border collie rescue, border collies, dog behavior, dog rescue, dogs, frisbee dogs, herding dogs, life with a dog. Bookmark the permalink. BC X Great Pyrenees and she chews on anything that she finds on my property. 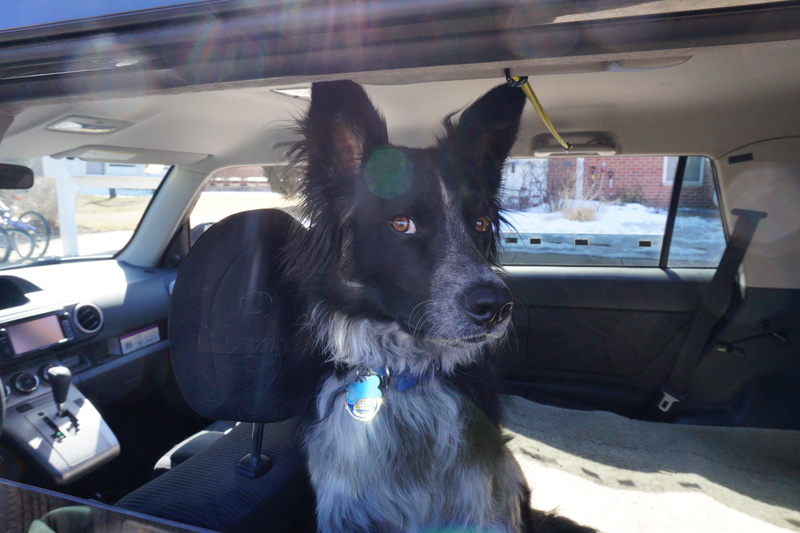 She is my outside watch dog and a pretty girl I feel for you having to replace those seat belts. Hi, I am like you and love to be busy when I’m not taking a nap. I go bananas over squeakers, Ms. Z.
I love your blog! It’s FAB!!! 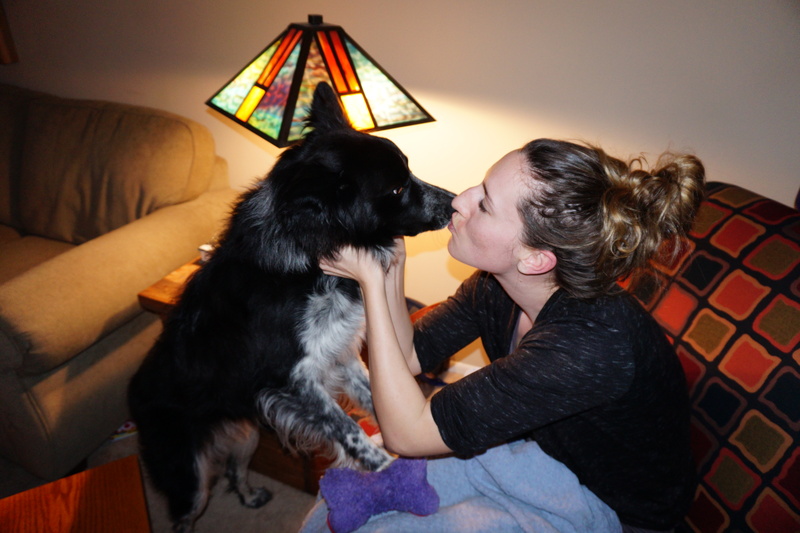 I love Border Collies and have one myself! I also love to see the BC’s perspective as it’s really funny! Aww magic, that sounds like great fun!